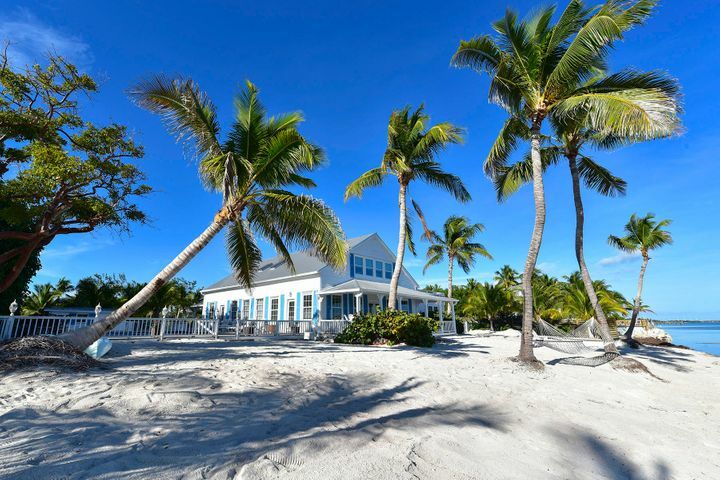 One-of-a-kind estate property cloistered on over an acre of land offering 160 ft. of white sandy beach and 37.5 ft.of protected dockage that has direct ocean access. The private palm-lined drive leads to a historic home with welcoming front porch surrounded by lush, tropical landscaping. This coveted oceanfront home has been lovingly maintained and completely updated offering almost 4,000 sq. ft. with four spacious bedrooms, three of which are suites, five full baths and comfortable living spaces overlooking breathtaking ocean views. The wide, covered oceanside verandah is ideal for entertaining and taking in the beautiful sunrises each morning. The second level master suite boasts a spa-like bath with glass shower and offers access to the rooftop viewing deck overlooking the Atlantic.